Landscapes engage in conversations with their visitors and pull them into their conversation. In Caspar David Friedrich's painting the wanderer has reached the summit, and reaps in the fruit of his long walk up into the mountains. He sees the world from above, and it puts everything into one image, and into perspective. 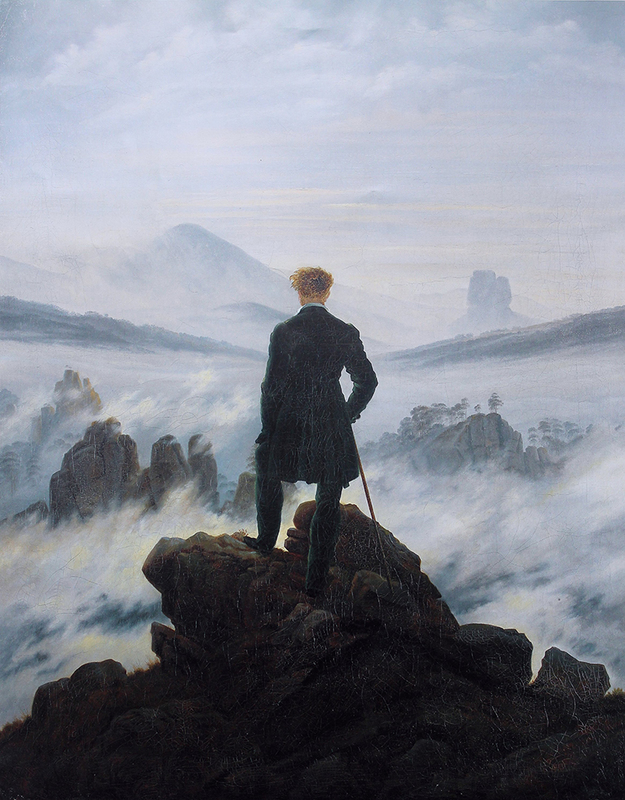 I find Caspar David Friedrich's work very inspiring. I'm currently developing a new editorial which has the theme of looking out over landscapes.